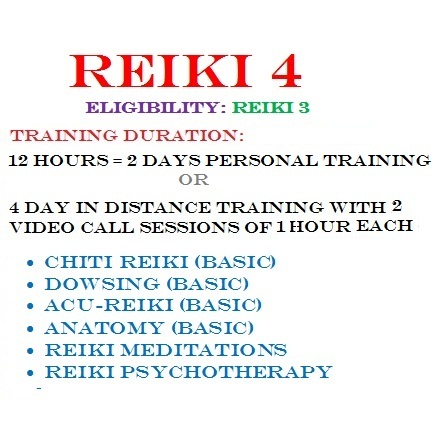 Learn Reiki 1 & Reiki 2 in absolutely systematic scientific way with practical. Get a detailed study material for both Reiki 1 and 2 of more than 85 A4 size pages that you can regularly refer during practice. Start practicing as an independent Reiki healer or join Healers' Panel after learning. Next Mumbai class: 26 & 27.1.19 Register by 20.1.19. Call 9820044254 for details & Exact Mumbai Location. Reiki is a method of medicineless treatment. Reiki can be learned and practiced by all. It is safe and simple, and anyone can use it. Reiki is Love of God Alive! Reiki is universal life force that exists everywhere. We experience its presence at all the time. Different people call it by different names & know it in different forms. This energy runs the whole universe. It is LOVE OF GOD ALIVE! It is there irrespective of recognition or imagination as sun, moon & air. It is above all religions! Our body systems are designed to have an access to this force. This is the reason why whenever we have any pain, we automatically place our hand over the paining area. Our body mechanism is designed to heal by placing the hand over the ailing area, just as the systems of animals are designed to heal their ailing area by licking it continuously! Due to our ignorance, we are not able to establish this access. Due to disuse, many people also lose this ability to establish connection with this energy. This is why though simple to use, many cannot use this energy in their daily routine. To regain this wonderful power we need to undergo a complete training and have the connection to this power restored during this training by a simple procedure known as attunement that is given as a part of Reiki training. This is where the Reiki teacher comes into picture. A Reiki teacher re-establishes the contact of the student with the universal life force by way of a process known as attunement or initiation. This process lets you access this universal life force and even transmit it to others for healing. As one is attuned, one may have some unique experiences. The experiences one gets during and after attunement differ from person to person. This is because of the inner shortcomings are different from person to person, so this difference does not make this science objective and imaginary. The Reiki attunement enables you to heal not to initiate. After attunement, a Reiki healer finds the transformed life! Reiki is a science of an Indian origin, rediscovered by a Japanese priest, Dr. Mikao Usui. In April 1922, Mikao Usui opened his first 'Spiritual Seat of Learning' in Harajuku Tokyo. His teachings were what are called a 'Ronin' (leaderless) method, this was to ensure that no one-person could lay claim to them, then, or in the future. This would keep them freely available for all who wanted to practice. Usui was an admirer of the literary works of the Emperor Meiji (明治天皇 Meiji tennō).While in the process of developing his Reiki system, Usui summarised some of the emperor's works into a set of ethical principles, which later became known as the Five Reiki Precepts (五戒 Gokai, meaning "Five Commandments", from Buddhist teachings against killing, thievery, sexual misconduct, lying, and intemperance). He not only practiced and taught his Spiritual Teachings but also gave healing. From what we now understand of the way he worked, it seems very possible that he was accepted by his Buddhist leaders as a teacher. He was often accompanied by Buddhist monks and nuns & until about eighteen months before he died, his teachings were given only to Buddhist Shinto followers. Just a few months prior to his death he started teaching it to non Buddhist. He made no provision for his teachings to be continued after his death. He had expected others to come along who would surpass his own capabilities, this did not happen. Curiously Dr. Usui never used the term Reiki for his healing. The term 'Reiki' may have been introduced by Hayashi or the Gakkai. The name used by Usui's students is'Usui Do’ or 'Usui Teate'. Hayashi’s disciples from U.S.A spread the name Reiki. The popular story about the origin of Reiki is, Dr. Usui believed in answering all questions of his disciples. One disciple asked about the method involved in the touch healing used in Christian faith healing. He did not have the answer. He said he will find out. He went on searching for it. He searched through Japan & china. On finding nothing satisfactory there, he came to India, studied Sanskrit, & some scripts. Then he went to Tibet to study more Buddhist scripts. Here he found the Saddhamma Pundarika Sutta commonly popular as Lotus sutras. Then he meditated on the mountain Kurama in Kyoto, got enlightenment and got Reiki. Kurama is also a very special place for Martial Arts; it is the abode of the Tengu who impart the secrets of Budo to worthy warriors. Morihei Usheiba, founder of Aikido often took students to the mystical Shojobo Valley to train. Despite what the memorial states it was not usual for this sort of meditation to have been taken on Kurama. However it is recorded that this occurred, but it was very late in his life and long after he had started teaching. In the records, no special event is recorded. In traditional western Reiki a great deal of importance is put on the Kurama story, however, this is not true and not referred to by his students. No evidence is known of his ever being taught in any way by Christian teachers / ministers. He never had any medical training and was never referred to as 'doctor'. This information comes from 'living' students of Mikao Usui some of them are also his relatives. In 1923 shortly before noon on 1st. September, an earthquake shook Tokyo and Yokohama. Over 100,000 deaths were reported. It was the greatest natural disaster in Japanese history. Mikao Usui with his helpers took his healing to the area and as a result of his work became very famous. During this emergency Usui Sensei's way of giving relief was to 'reach out his hands of love to suffering people'. It is quite possible that as he was living & working in the Tokyo area that his school /home may have been directly affected by the earthquake. Following the earthquake he was awarded an honorary 'Doctorate of Literature', this was in recognition of his services to the public during the emergency. In the last year of his life, the Naval Commanders - Ushida, Taketomi, Hayashi and others, approached him & asked him to teach them. They only learned his healing method. For them he introduced the term 'Ryuku' which means, someone who is a good practitioner but not familiar with the full teachings. There was no formal teaching structure. Usui-sensei told that his method is a spiritual healing technique and an energy healing technique. Spiritual healing brings fundamental healing by helping us to become part of the universal consciousness, while energy healing centres on removing the symptoms of mind and body disorders.' Mikao Usui (1865.8.15-1926.3.9) was born on August 15, 1865 in the village of Taniai in the Gifu district of Japan. In 1920s he developed a spiritual system based on ancient Taoist practices but uniquely Japanese in style. Usui died from a stroke in a town called on March 9, 1926 in Fukuyama in Hiroshima - Ken. As we have seen above, Reiki is an ancient Japanese science of healing. It involves the use of REI means universal light & KI means life force energy governing all functions in universe. This helps you heal all kinds of problem by touch or thought. This is just a complimentary aid to medicine that one can use with REJU i.e. attunement or initiation. Without initiation one cannot use it effectively. Those who try to practice this just by reading a book may get a healing effect that will be initiated with their own energy, not the universal life force. After this type of so called healing without initiation, one feels depleted & weak on healing a patient. This is because one gives his own energy, not Reiki. 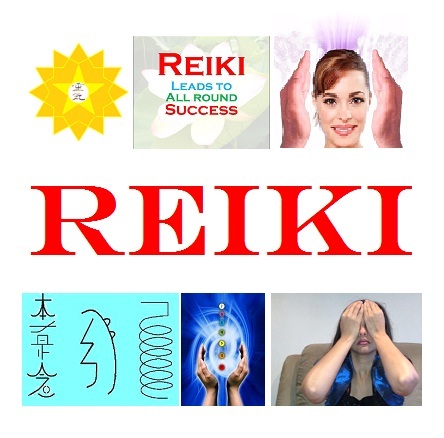 Generally, people say that they know Reiki, they have heard about Reiki, someone had done Reiki on them or their family member, somebody emits or releases Reiki and makes things happen on request, and so on. Many people talk about Reiki. They also teach Reiki and insist on lineage declaration. This is because, each lineage follows different ways of teaching, and do not acknowledge the lineage of other teachers. But no past Reiki teacher has taken pains to put the syllabus of Reiki in a methodical manner. As a result, people hardly have clear idea about levels of Reiki. The only commonly known levels are, 1, 2, 3, teacher, grandmaster. People talk many different contradictory things about Reiki training. They also make tall claims about curing some ailments like Cancer in last stage, brain hemorrhage, genetic disorders, paralysis etc. purely with Reiki. They also talk of performing Reiki operations when such so called Reiki healers have absolutely no medical and anatomy background at all. Such attitude of senior Reiki healers and teachers is totally disorganized. Such an irresponsibly blind faith generating attitude is responsible for distrust that many senior medical professionals have towards Reiki. Now the time has come that we must present an organized format of Reiki in front of the masses so that the seekers get a correct picture of what they must expect from their Reiki Teacher and the fake teachers will stop fooling the masses under the name of Reiki. Many teachers are just not aware of the levels that Dr. Usui had designed in the year 1922 when he first started teaching this method in Japan. The fact is that Dr. Usui had neither given the Reiki levels, nor the Symbols. He gave special importance to the Reiki principles & Rules that are religiously followed even today in the inner Reiki circles of Japan in the name of Gokkai. But present Reiki teachers just mention the Reiki principles and rules, and ask the seeker to recite the principles once a day, without explaining the actual importance of them and their use in personal life. They simply give all the importance on the body positions of touch healing while teaching Reiki 1 to a seeker. Similarly, while teaching to work on events in Reiki 2, teachers teach many dangerous things like they teach, "decalre yourself as the patient you are healing and heal your whole body by touch healing. Then stop healing and say that the healing has reached the patient." Here, as we declare ourselves as the patient, we unknowingly wear the aura of the patient and it is extremely dangerous and unhygenic because aura is much more closer to the body than even clothes... Also, they never explain how to scientifically handle emotional blocks when they want to create event. 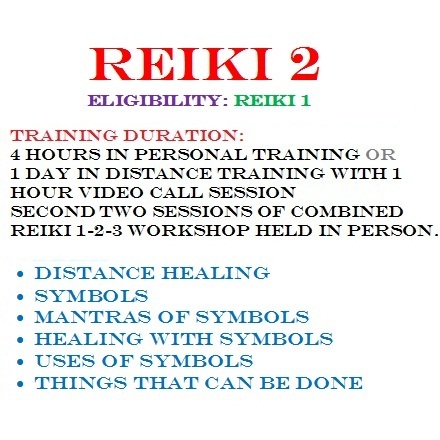 Reiki 3 is supposed to be the level of Reiki master, but most of the Reiki 3 classes get over just by giving the master symbol and initiation, and taking the huge fees for the same. Rarely we come across a reiki teacher who teaches scanning and diagnosis of the patient. Also, not many teachers explain what is the meaning of a master and what are the responsibilities and do's and don'ts of a master. 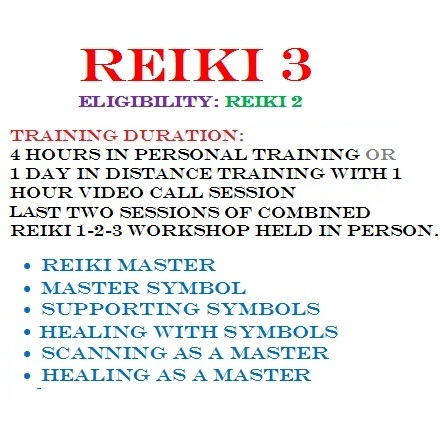 If one is to become a master by doing Reiki 3, is it not necessary that one must know all this? We in out Reiki workshops do teach all this. Of course, there ARE 2 NEW levels that are newly added to these traditional levels. They were added in 1997 after 2 symbols like EAN and KARYO were directly given by Dr. Usui in astral communication where he had also taught many other healing techniques like Reiki Dowsing, Chiti Reiki, Reiki Psychotherapy and meditations to strengthen the aura of the seeker. These new techniques are taught in this new level, i.e. level 4. This level is known as yokka. Correspondingly, there is a teachers’ level for this level, known as level 8. This level is known as youka. 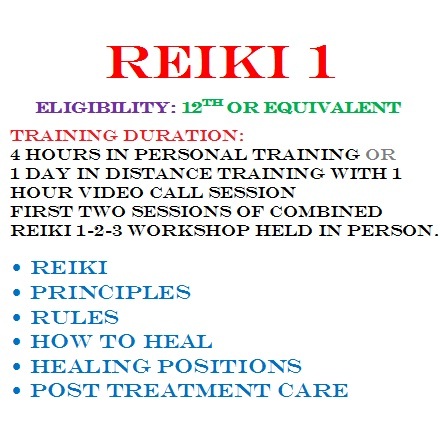 There are a number of sites and videos that claim give free Reiki initiation or that teach how to take your own Reiki initiation. Many innocent people follow these and imagine that now they have become Reiki channels. But this is not true. The energy healing methods like Reiki cannot be achieved without appropriate spiritual growth or without a right teacher. Of course choosing a right teacher is very important in any type of learning in life. To teach Reiki, one has to receive a specific training, where one has to learn how to find out and handle energy blocks in a Reiki seeker, help the Reiki seeker have an appropriate attitude to look at life, how to show the areas of thinking where the seeker is stuck due to which his progress of success is getting affected, how to handle the relationships beautifully, how to learn to receive benefit in every situation, how to be full of gratitude and affection in life in spite of any situation and any type of treatment one receives from others, and how to heal ones own self as well as others of their physical, mental, emotional and financial issues. This means, just by learning the first or second level of Reiki oneself, one cannot teach it. Nor can one learn or teach Reiki over any site or video. But many times, people feel that once they learn Reiki, they can teach it. They may be able to tell about Reiki and impart the information that is already available on net. But this is a pure myth. Many times, there are energy traps laid down in such sites that eventually start sucking the positive energies of such quicky seekers who start feeling weak in some days and develop some incurable ailments. This clarification is very much needed here, because I have seen many people trying to learn or teach Reiki without being a properly trained competent Reiki teacher. Such people may claim to impart training, they may even claim to impart Reiki Initiation, but such energy work has a risk of energy trap. The energies of those who take training by shortcut method may get trapped in such traps and these people may find severe depletion in their energies after getting trained as they start practicing Reiki healing. There is conception in Reiki healers who learn Reiki by such quicky cheepy ways that when we heal others, our energy goes away etc. Such people then start spreading this conception in people who do not know of Reiki. This is the reason why this is a categorical warning to new Reiki seekers NOT TO RISK THEMSELVES by going to any cheepy quicky unprofessional unqualified Reiki teacher or any Reiki initiating site or any Reiki initiating video. They MUST FIRST CHECK if the teacher they are choosing is perfect or not. Buy your paperback copy of Study material for Reiki 1-2-3 here. Duration = 30 hours in personal training. REIKI TEACHER'S LEVELS: 4 teachers’ levels & 2 Advanced levels.